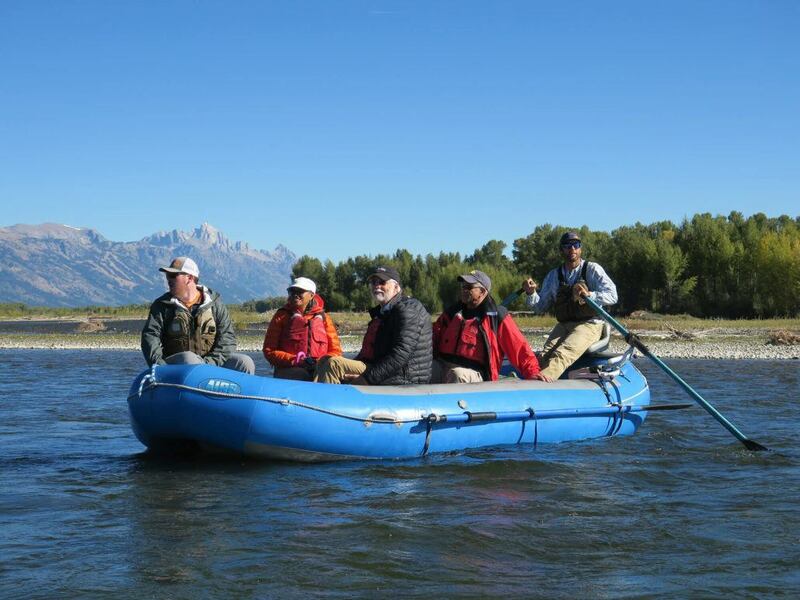 Our scenic float trips are informative, fun, and enjoyable for any age group, and our approachable guides are always happy to share their knowledge of Jackson Hole’s history, geology, flora and fauna. 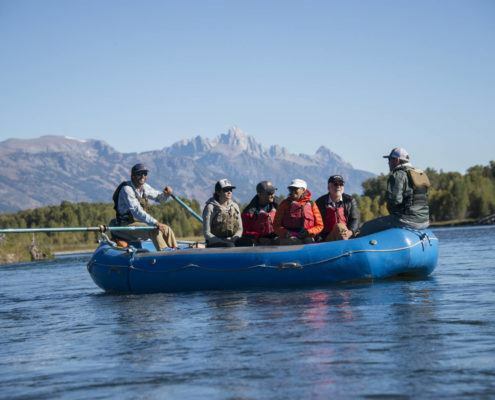 Our trips are intended to be small groups or families to keep the experience as intimate as possible and allow your group to reconnect in nature. You will stay dry, except if you don’t want to! What a great way to start the day! 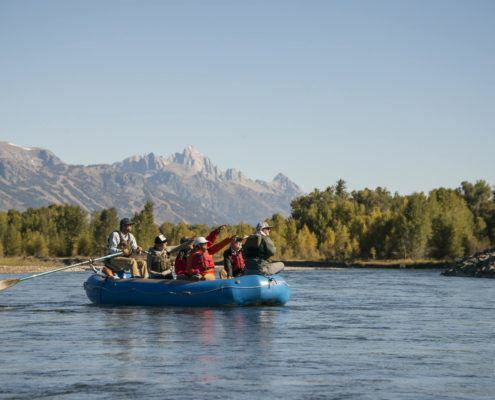 Being on the river early in the morning gives you the best opportunity to see wildlife such as Mule Deer, Elk and Moose. We’ll pick you up at 7:00am. Continental breakfast with fruit, pastries, and coffee is included. 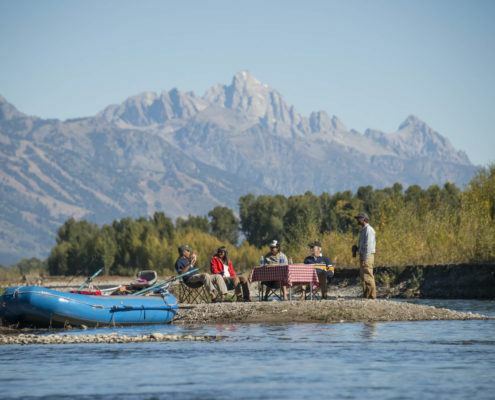 This scenic float trip option puts you on the river during the middle, and warmest part of the day. Eagles and Ospreys soar in search of the day’s meal. 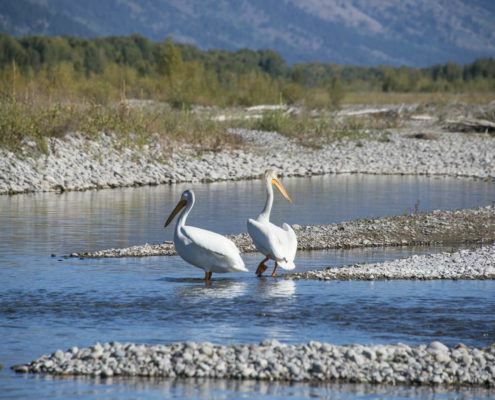 A quick swim feels refreshing as you soak in the views of the Teton Range. We’ll pick you up at 11am and have a deli sandwich for lunch. As the day cools, the animals start to come back to the river for the evening. Both the Eagles and Ospreys are still out. This also a great time of day to spot Beavers along the banks. 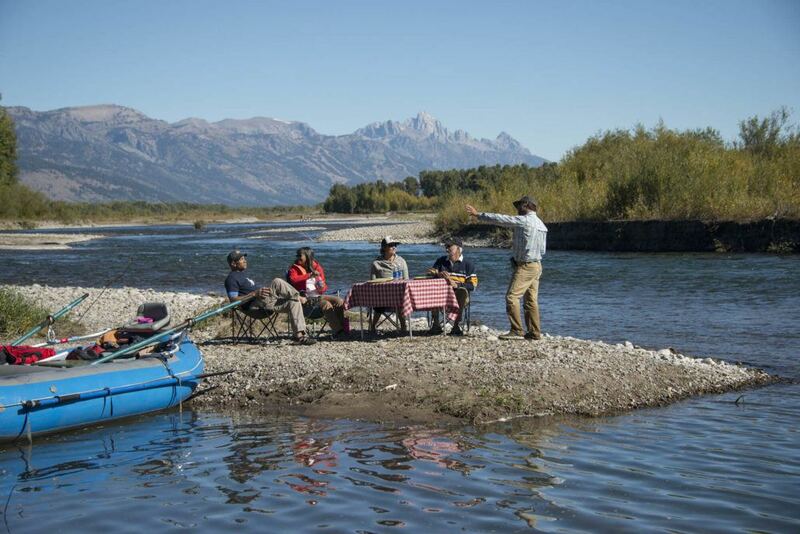 We will stop on a gravel bar in the middle of the river and cook Bison burgers or Chicken breasts. We will pick you up at 4:00pm. How long are your scenic float trips? Each scenic float takes 3-4 hours round trip depending on river flows at the time. Our Dinner Float takes the longest since we stop to cook dinner. Do you offer lodging pickup? Yes. We can pick you up from your hotel in the town of Jackson. If you are staying outside of town, we can meet you at a mutually convenient location. Typically four years old. We have life vests that fit children well. Please dress in layers, preferably of synthetic materials that dry quickly. A light jacket or fleece is appropriate for our cool mornings and evenings. Wear shoes that you don’t mind getting wet; closed-toe river sandals are perfect. Our rafts are self-bailing, meaning water your feet might get wet even while in the boat. What types of meals do you offer? We have vegetarian or Gluten free options as well. Water is provided on each trip. Alcoholic beverages are not provided. Each raft holds 6-8 people, depending on size of individuals. We do offer trips for larger groups, please inquire. We can also use a hard-sided drift boat for couples that prefer the most intimate trip. 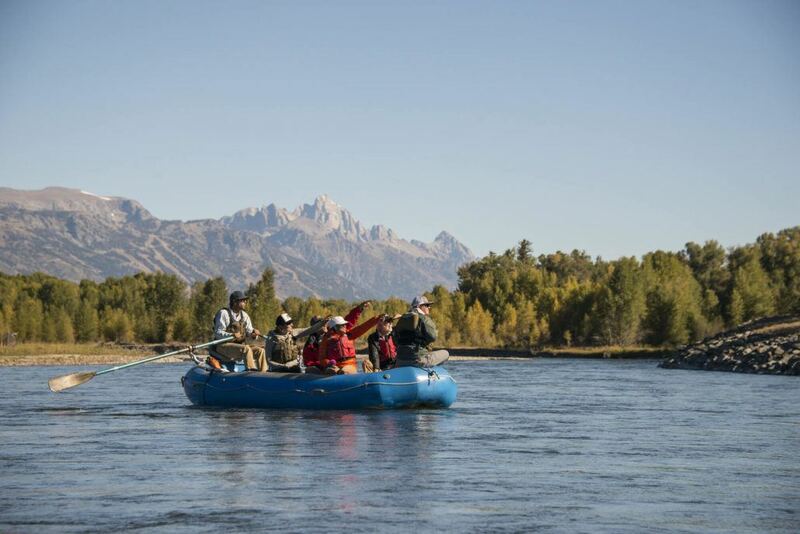 We offer scenic float trips April-October. Early and late season floats are aimed at the middle (warmest) part of the day. If you have any questions or would like to book a slot on any scenic float trip call 307-690-1139 or email us. 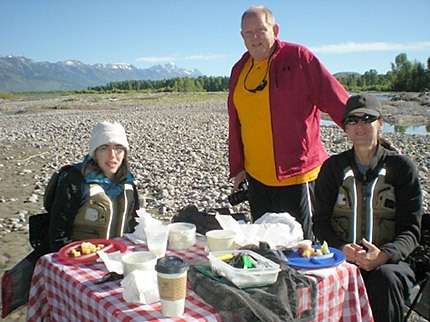 Our family had the opportunity to take a float trip down the Snake River with Jason – we started early on a crisp June morning. From there it was total awe, amazement and inspiration. We had the river to ourselves and when you close your eyes you hear the movement of the river and the sounds of nature. We saw not one but 7 bald eagles – so regal sitting in the trees and one of their nests with babies in it. 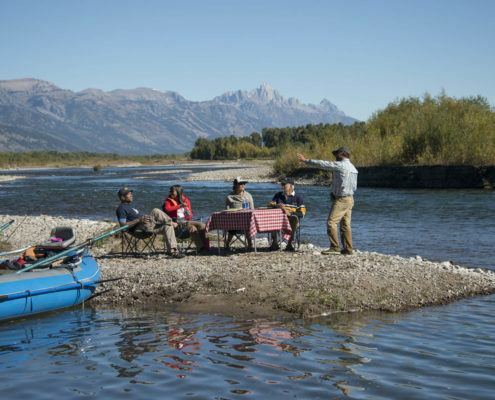 We learned so much from Jason – he is very knowledgeable about the river, how it’s changed year to year, what that means from a fishing and environmental perspective. 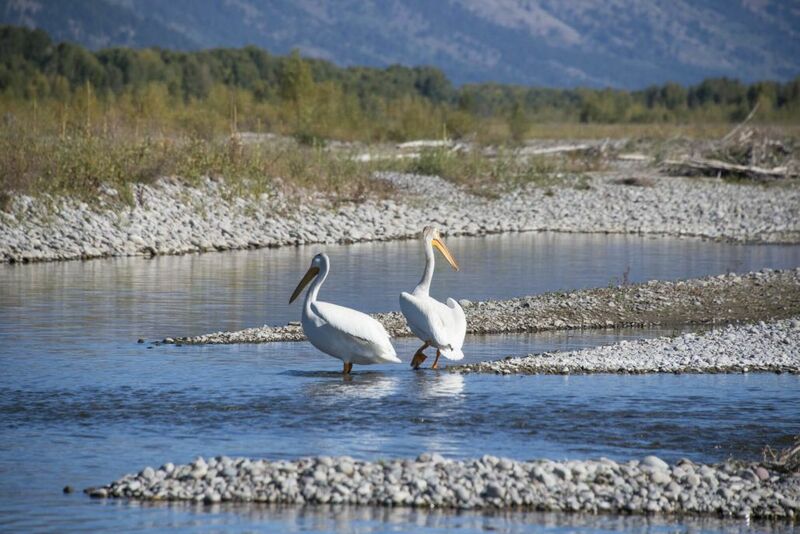 He is also very knowledgeable about the Wyoming environment and landscape. We enjoyed a fun breakfast during our trip as well. 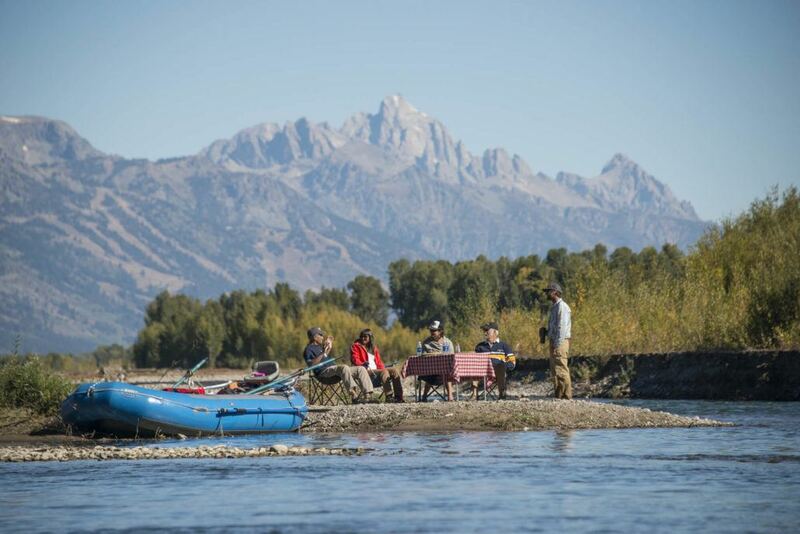 And the view of the Tetons from the river – unparalled. 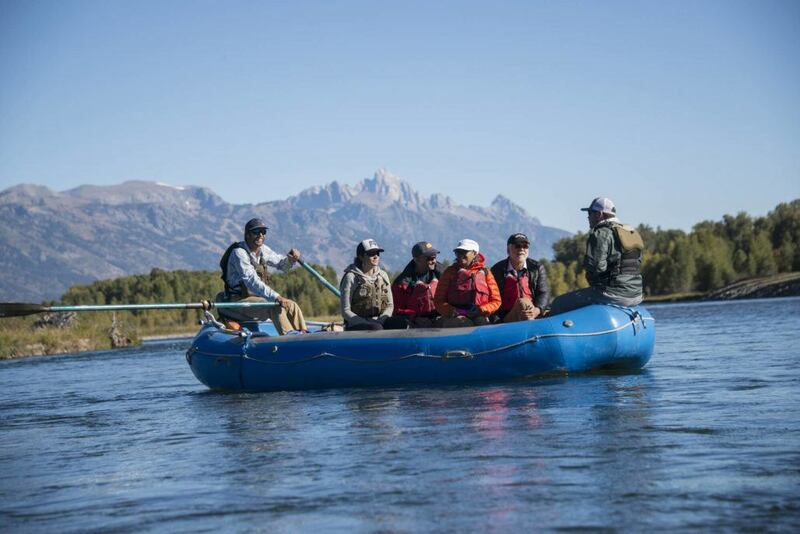 We are looking forward to our next trip to the area and will for sure hook up with Jackson Hole Scenic River Trips!